frivolous motion Archives - В сложной финансовой ситуации приходит на помощь кредит наличными в Казахстане. 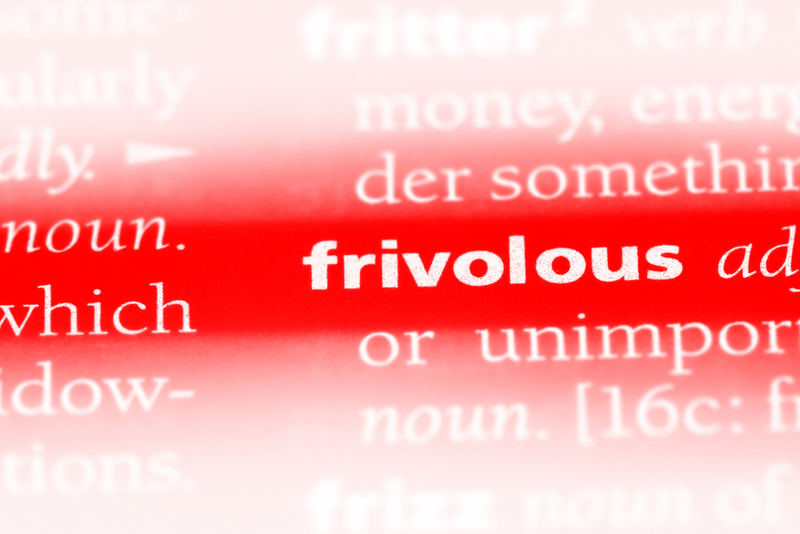 If you file a frivolous motion or pleading: BEWARE. Appellate courts are taking seriously frivolous filings. Frankly, they should! In a recent case, Mark W. Rickard, P.A. d/b/a Law Guard v. Nature’s Sleep Factory Direct, LLC, 43 Fla.L.Weekly D2438b (Fla. 4th DCA 2018), a plaintiff voluntarily dismissed its lawsuit prior to trial. The defendant than filed a motion for prevailing party attorney’s fees. However, the defendant NEVER pled an actual entitlement to attorney’s fees. The plaintiff served a Florida Statute s. 57.105 motion that is designed to notify a party of a frivolous filing and give them a safe-harbor time period to withdraw the filing before sanctions (attorney’s fees and costs) can be imposed. The defendant withdrew its motion, albeit too late–after the safe harbor period expired. Typically, a party seeking attorney’s fees must specifically allege and request the award in the pleadings…. However, Appellees’ counsel failed to withdraw the meritless motion until well after the safe harbor period had passed…. Mark W. Rickard, P.A. d/b/a Law Guard, supra (internal citations omitted). Frivolous filings are a big deal. A filing is deemed frivolous if a party or its counsel knew or should have known that a claim or defense was not supported by the facts or application of existing law. 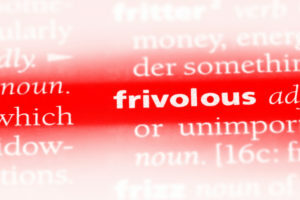 In this case, the defendant and its counsel should have known the motion was frivolous under existing law. The fact that the defendant’s counsel ultimately recognized this and withdraw the motion was of no moment because it was too late–after the expiration of the safe harbor period. Thus, if you file a frivolous motion of pleading: BEWARE.